As you already know, London is a place where there are thousands of things to see. However, if during your stay, you want to make a trip out of town, there is a place you simply cannot miss: Windsor Castle. Less than an hour away by train, in a country in which rail transport is excellent and punctual, you should not have any problems in making a trip to spend the day there. This official residence of Queen Elizabeth II is the biggest and oldest inhabited castle in the world. There, behind the walls that have seen no less than 1,000 years of history pass by, the sovereign spends mainly the weekends and part of the spring. However, Windsor Castle also carries out essential functions regarding questions of state: for example, kings and presidents from other countries are welcomed and new members of the Order of the Garter are named, the highest distinction in the orders of knights associated with the British Crown. The castle grounds cover an area of 10 hectares, and the imposing walls that surround it are in exactly the same place as during the period of William the Conqueror, around 1070. Among the buildings inside the grounds feature the Royal Palace and Saint George’s Chapel, in which 10 British monarchs are buried. After having been used as a prison and military headquarters of Cromwell’s parliamentary forces during the 17th century, King Charles II took it on himself to give the palace a magnificence that has remained until our own times. The monarch also ordered the Long Walk to be built, a pathway of 5 kilometres that joins the south side of the Royal Palace to Windsor Great Park. However, the building owes a great part of its appearance to the reforms carried out at the behest of George IV in the early 19th century. Fortunately for the tourists, Windsor Castle has some of its rooms open to the public. The State Apartments, for example, are lavishly decorated with paintings by artists such as Rembrandt or Canaletto, as well as the triple portrait of King Charles I painted by Van Dyck. These rooms were seen for the first time during the reign of Queen Victoria. Between October and March you can see the private rooms of George IV, which are among the most beautiful and luxuriously ornamented spaces in the whole castle. We should remember that it is through luck that all these treasures have been preserved intact, since in 1992 a big fire destroyed more than 100 rooms of the palace. The disaster started in the palace’s private chapel, and it took 15 hours to put out the flames. The main attraction is without doubt Saint George’s Chapel, one of the most beautiful Gothic buildings in England. Saint George, who provides the name of this space reserved for worship, is the patron saint of the Order of the Garter. Finally, if you enjoyed the ceremony of the changing of the guard at Buckingham Palace, you will be delighted: at the castle, when the weather permits, they re-enact this ritual on alternate days, so choose the date of your visit carefully. 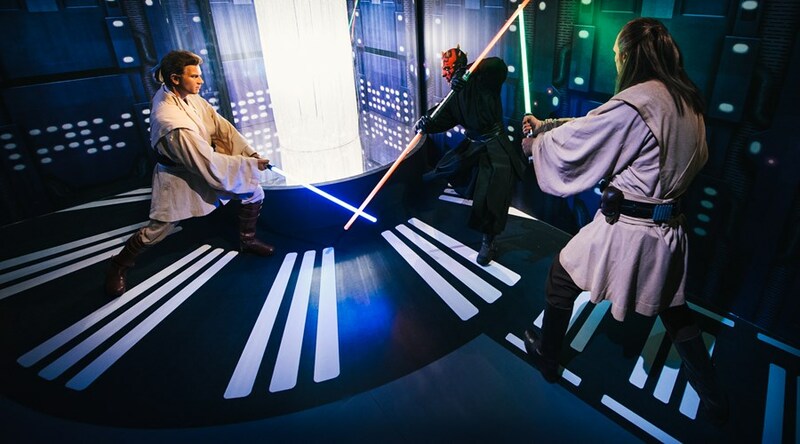 ¡Hazte fotos con los personajes de Star Wars en el Madame Tussauds de Londres! 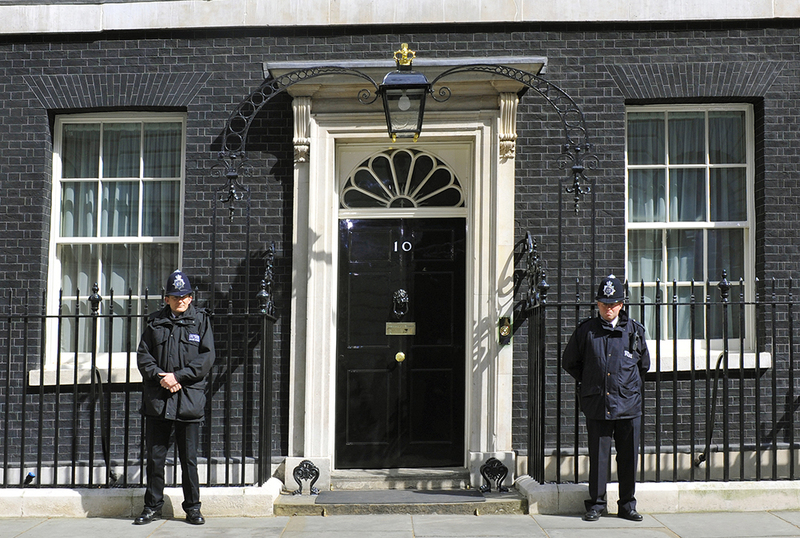 ¿Quieres hacerte un selfie en el 10 de Downing Street?